A family in West University contacted us to design a contemporary Houston landscape for them. They live on a double lot, which is large for that neighborhood. 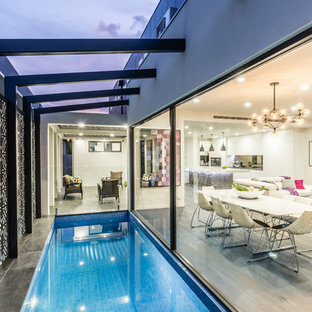 They had built a custom home on the property, and they wanted a unique indoor-outdoor living experience that integrated a modern pool into the aesthetic of their home interior. 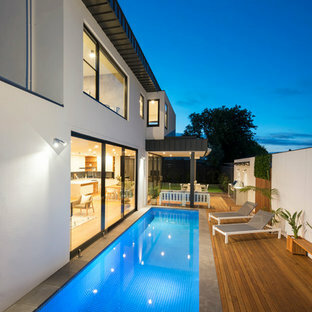 This was made possible by the design of the home itself. The living room can be fully opened to the yard by sliding glass doors. The pool we built is actually a lap swimming pool that measures a full 65 feet in length. 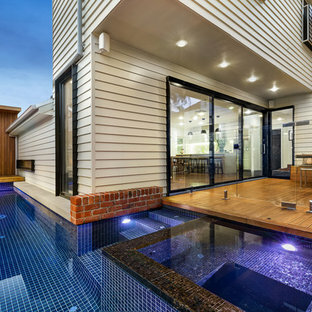 Not only is this pool unique in size and design, but it is also unique in how it ties into the home. The patio literally connects the living room to the edge of the water. There is no coping, so you can literally walk across the patio into the water and start your swim in the heated, lighted interior of the pool. 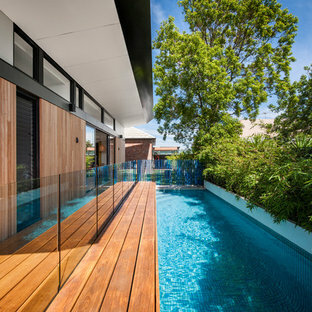 Even for guests who do not swim, the proximity of the water to the living room makes the entire pool-patio layout part of the exterior design. 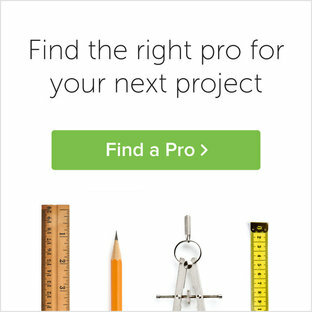 This is a common theme in modern pool design. The patio is also notable because it is constructed from stones that fit so tightly together the joints seem to disappear. 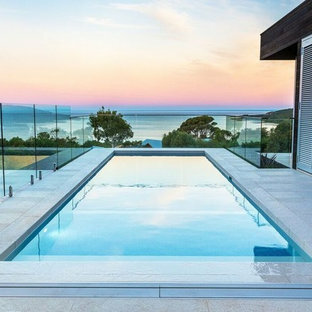 Although the linear edges of the stones are faintly visible, the surface is one contiguous whole whose linear seamlessness supports both the linearity of the home and the lengthwise expanse of the pool. 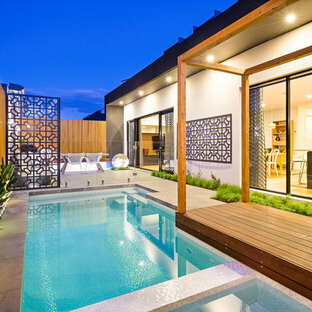 While the patio design is strictly linear to tie the form of the home to that of the pool, our modern pool is decorated with a running bond pattern of tile work. Running bond is a design pattern that uses staggered stone, brick, or tile layouts to create something of a linear puzzle board effect that captures the eye. We created this pattern to compliment the brick work of the home exterior wall, thus aesthetically tying fine details of the pool to home architecture. At the opposite end of the pool, we built a fountain into the side of the home's perimeter wall. The fountain head is actually square, mirroring the bricks in the wall. Unlike a typical fountain, the water here pours out in a horizontal plane which even more reinforces the theme of the quadrilateral geometry and linear movement of the modern pool. We decorated the front of the home with a custom garden consisting of small ground cover plant species. We had to be very cautious around the trees due to West U’s strict tree preservation policies. In order to avoid damaging tree roots, we had to avoid digging too deep into the earth. The species used in this garden—Japanese Ardesia, foxtail ferns, and dwarf mondo not only avoid disturbing tree roots, but they are low-growth by nature and highly shade resistant. We also built a gravel driveway that provides natural water drainage and preserves the root zone for trees. Concrete pads cross the driveway to give the homeowners a sure-footing for walking to and from their vehicles.